Tualatin, Ore. – Express Employment Professionals, a leading staffing agency in Tualatin, OR, is proud to announce that it has just received the Bronze Circle of Excellence. 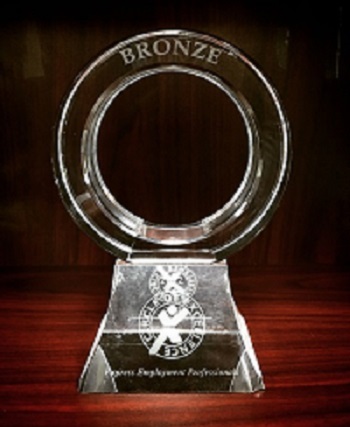 Among Express’ highest honors, the Bronze Circle of Excellence is a symbol of a company’s commitment to Helping People Succeed and of course, team excellence in staffing. The journey toward achieving Circle of Excellence is a challenging one, but not enough to stop the Express West Tualatin team from achieving this milestone. As the go-to source for jobs hiring in Tualatin, OR, the Express West Tualatin team is proud to earn the Bronze Circle of Excellence and will be working hard to achieve the next Circle of Excellence level. The Express West Tualatin office is located at 19407 SW Martinazzi Ave, Tualatin, OR 97062 and serves the Tualatin area. Please contact (503) 612-1800 or visit https://www.expresspros.com/WestTualatin for any staffing needs. September 27, 2018 – One of the Leading Employment Agencies in Tualatin, OR Shares Labor Day Poll Results for Blue Collar Employees in the U.S.